Normally my children have pretty healthy appetites, so when they tell me they’re not hungry that’s a sure-fire sign they must be poorly. Over the past couple of weeks both my girls have been a bit ill – and my husband too – and so I’ve turned to the good old smoothie to make sure I get some sustenance into them. Even when they’re feeling pretty grotty, they can generally manage a glass or two of smoothie. Of course these smoothies are too good only to have when illness strikes and they’re a brilliant way to use up those over-ripe bananas. You can also add any soft fruit you happen to have in. We keep a bag of berries in the freezer and I like to chuck in a handful or two of those. But here’s the basic banana recipe. 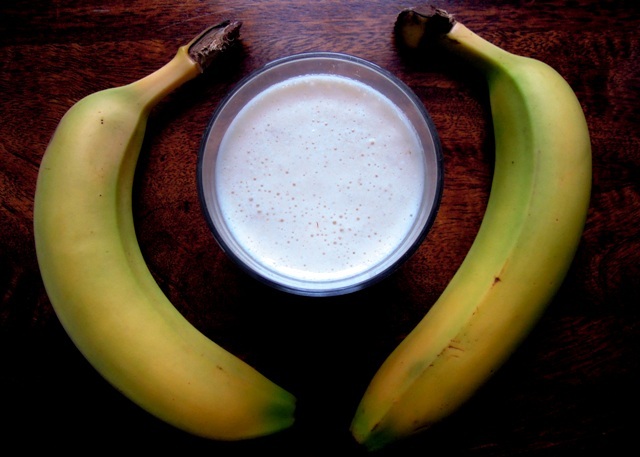 Chop the banana into a blender or smoothie maker and add the rest of the ingredients. Simply whizz up until smooth and serve to your patients. Hope all your family are fighting fit again. I’m sure your smoothies are a big help in their recovery – especially if they know that they can still have these treats when they are well! 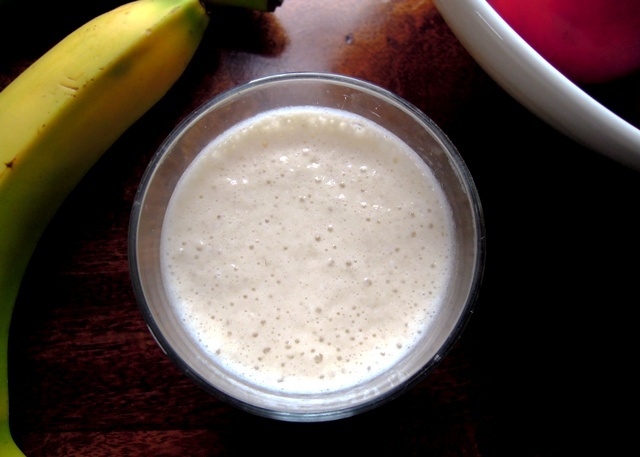 I have heard that banana smoothies make excellent hangover cures too…..potassium I think! Nevertheless, I love them and often throw in a handful of oats too! You know i throw this, that and the other in a smoothie and they are delicious, but I do forget to keep it simple sometimes and highlight one main ingredient. This sounds delish! 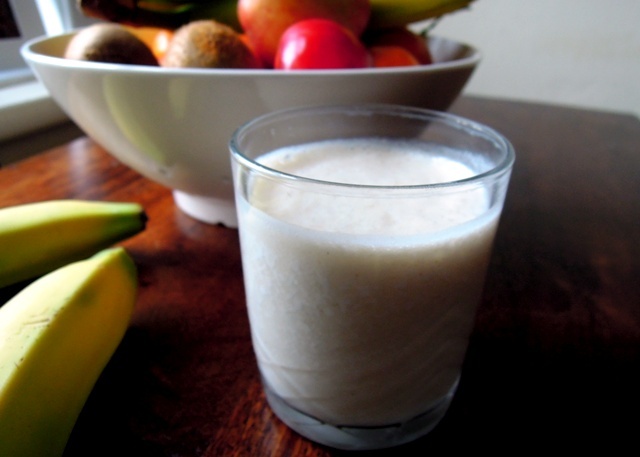 We’re huge fans of a banana smoothie here, though to be honest pretty much any smoothie goes down well! I hope you’re all on the mend, we were all poorly over Christmas, there’s a lot flying around at the moment. Isn’t there just? I think we’re all better now – I’ve got a little tickle that’s been threatening to strike for a few days now, but mums just aren’t allowed to get ill are they? !